Salesforce has two different desktop user interfaces: Lightning Experience and Salesforce Classic. This guide is for Lightning Interface, for Salesforce Classic Click Here! A distinct advantage in using digital data collection is that you can control the showing/hiding of questions based on previous answers. (For example: If respondent’s gender is male, questions regarding past pregnancy can be hidden entirely.) Entire sections can also be hidden based on set conditions. Not only does this make for a smoother experience to any respondent, but this also reduces the mental load for field officers thus lowering the training burden and improving data accuracy especially when complex conditions are involved. This article will explain how you can set logic to your form questions and sections via the Logic tab in TaroWorks. 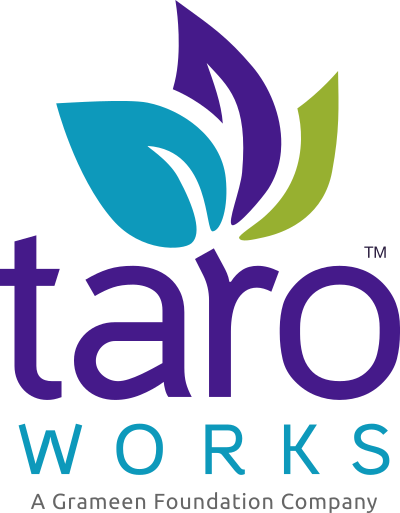 Here are some guidelines to help understand how logic functions in a TaroWorks form. By default, all questions are set to Show Always.TaroWorks will simply skip over any hidden questions and continue down the form. You can set a question to be shown only if;ALL your stated conditions are met (also known as “boolean AND”), you can also set a question to be shown if ONE or MORE of your stated conditions are met (also known as “boolean OR”). Conversely, you can also set a question to be hidden based on some criteria. The exact conditions you can set depends on the question type, please refer to respective articles to see exactly what options are available to you. Skipped questions return blank values to fields that are mapped to. All of the above applies to sections as well, and when a section is hidden all questions within it are also hidden automatically. For simplicity we will refer to both as questions in the parts below. Do not use hidden questions whose values are calculated with Dynamic Operations in Skip Logic conditions. Begin by starting a new form or editing an existing one. Access the Logic tab by clicking it on the navigation bar as shown (red box). You will then be presented with the screen similar to the one shown below with all the questions and sections listed. Click Edit (red arrow) for the question or section that you which to apply logic to. NOTE: There some cases where the Edit would not be shown. See Troubleshooting for details. By default, the question will Show when the condition(s) are met (green box). You may set it to Hide when conditions are met. Click Add Condition (red arrow). A new condition will appear (green box). Select the question to use for this condition (red box). Proceed to complete the condition by using the droplists (green box). NOTE: The exact options will vary depending the question. To add more conditions, click Add Condition again. Repeat steps 5 through 7 until all desired conditions are added. NOTE: When using multiple conditions, pay close attention to the difference between the All vs Any droplist. Click Done (red arrow) when complete. Click Cancel to discard any changes. The condition box will collapse and the logic conditions will be shown in grey text (green box). Continue until all conditions are set and saved. When you are satisfied with all scoring groups, click Save to save your progress and remain in this tab. Or click Save and Continue to save and go to the Field Mapping tab. Click Cancel to discard all unsaved changes. After setting logic on your questions, be careful when changing the order of questions as that can cause form malfunction. A question being used as a condition should never placed after the question it is a condition for. Notice that in a section where all questions are set to show on the same page, you cannot set conditions for a question in that section based on other questions from that very same section. So for example if Section 2 is set to Show all questions on the same page, and Question 13 and Question 14 belongs to Section 2 - you will not be able to use Question 13 as a condition for Question 14. The question is Question 1 - you cannot add any logic to the first question because there are no preceding questions you can use as conditions. The question belongs to Section 1 which is also set to Show all questions on the same page. In this case you have to set Section 1 to show questions separately before it will work. The question you want to use as a condition is AFTER the question you are setting logic for. This is not permitted. The question you are setting logic for is in a repeating section, and the question you want to use as a condition is in a preceding repeating section. This is not permitted. The question you want to use as a condition is not a real question - it is either Static Content or End of Form.